Many thanks to those who attended my Artist Talk at Hoffman LaChance Contemporary on Sunday. For those who missed it, I have posted this video interview with Naomi Silver at Wall Ball, taped earlier this month. The show, "Location; In Formation" can be viewed Wednesday, April 29th, and Thursday the 30th at Hoffman LaChance Contemporary. Hoffman LaChance Contemporary would like to thank everyone who attended Friday's successful opening reception for "Location; In Formation", featuring the paintings of Jeremy Rabus. Join us Sunday, April 26 at 3:00 PM for a gallery talk with the artist, who will discuss his fascination, skepticism, and dedicated practice of pure abstraction, and will take questions. 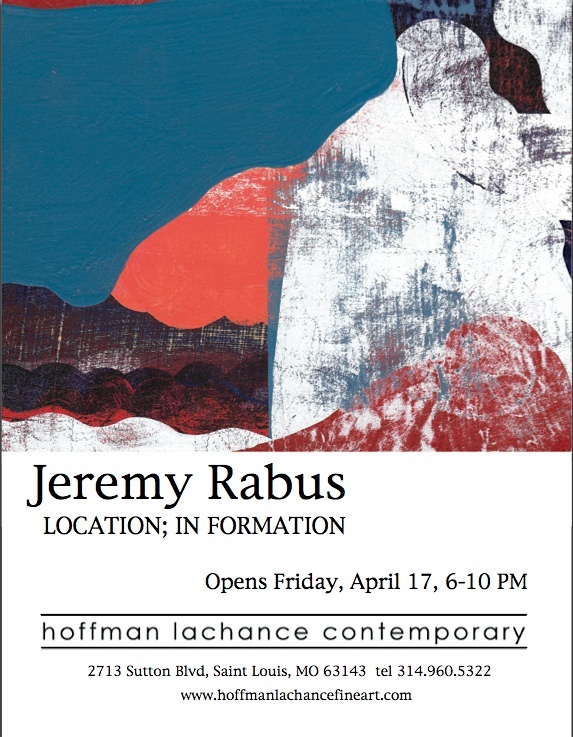 Rabus' current exhibit, "Location; In Formation" will be on view through Thursday, April 30.